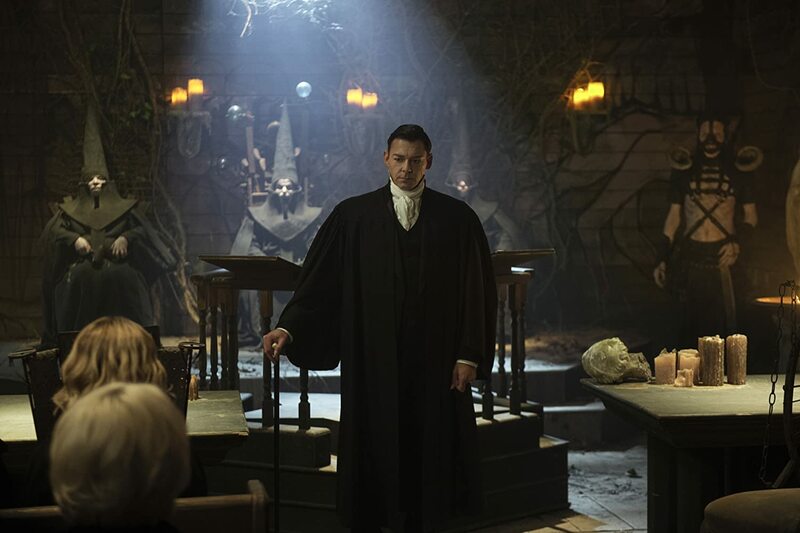 Richard Coyle starring in Chilling Adventures of Sabrina, new supernatural horror Netflix series. Based on the Archie comic (don’t mix with the old good tv show with a talking cat). As her 16th birthday nears, teenager Sabrina must choose between the witch world of her family and the human world of her friends. Series developed by Roberto Aguirre-Sacasa, produced by Warner Bros. Television. Sabrina Spellman, portrayed by Kiernan Shipka, with the fantastic cast with such stars as Ross Lynch, Lucy Davis, Chance Perdomo, Michelle Gomez, Jaz Sinclair, Tati Gabrielle, Adeline Rudolph, Richard Coyle, and Miranda Otto. Originally in development during September 2017 at The CW Television network, the series was intended to be a companion series to The CW series Riverdale. In December 2017 the project was moved to Netflix with a straight-to-series order, consisting of two seasons. Filming takes place in Vancouver, British Columbia. The entire first season, consisting of 10 episodes, was released on October 26, 2018. The series has received generally positive reviews (for a reason). This entry was posted in News, Richard Coyle and tagged Chilling Adventures of Sabrina, Richard Coyle News, Series. Bookmark the permalink.